Go straight to the moon with our Jetson Bag! 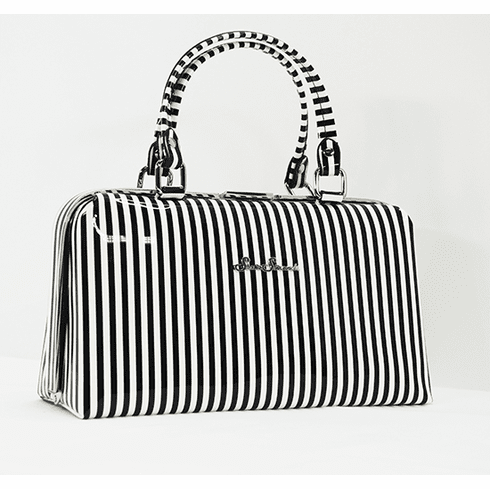 Made from shiny Black and White Stripe vegan friendly vinyl it is sure to get noticed! This bag is the perfect compliment to any outfit! This handbag features a silver metal frame with latch, lined with a sturdy cotton and inside you will find a large zipper pocket. Measures 12 inches long, 6.5 inches tall and 4 inches wide. Strap drop measures 6 inches.